Diets don't work because they don't attack the root problem. That's why 99% of dieters gain the weight back. 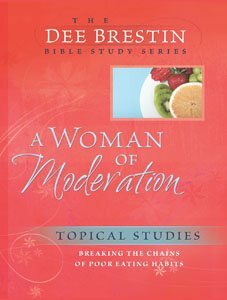 A Woman of Moderation is inspired by and works hand in hand with the successful program Setting Captives Free. Thousands of individuals have lost and kept the weight off because the root problem has been attacked. We overindulge our bodies when we are sad, bored, or anxious - for food is a temporary fix - but then it bites back. Learn how to distinguish between soul hunger and stomach hunger, and experience the joy, excitement, and peace of becoming A Woman of Moderation.